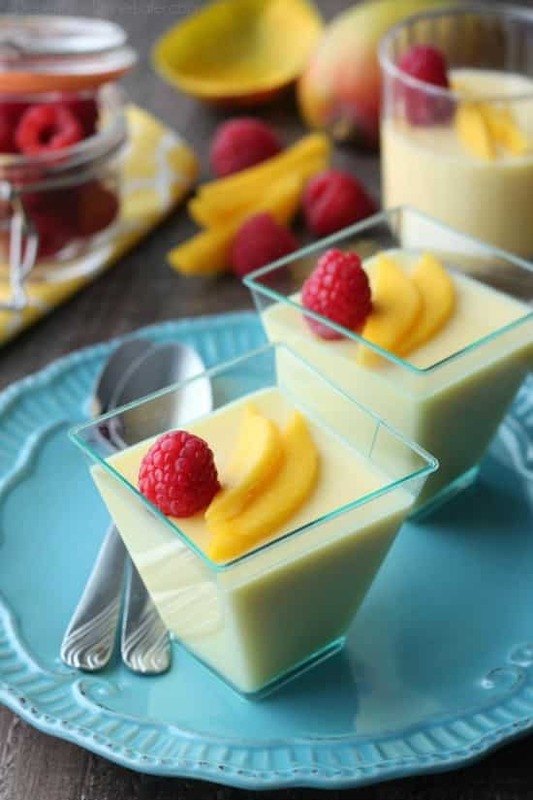 Chinese Mango Pudding - Dessert Now, Dinner Later! 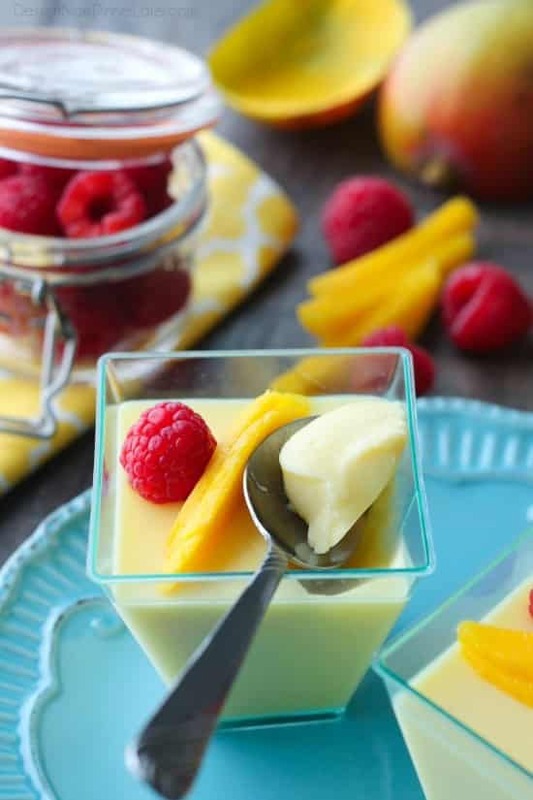 Chinese Mango Pudding is creamy, smooth, and full of sweet mango flavor. Plus it’s simple to make. 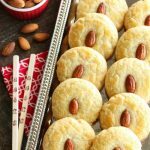 A great dessert for Chinese New Year! *This is a sponsored post on behalf of Mom It Forward Blogger Network and P.F. Chang’s Home Menu. Thank you for supporting the brands that make Dessert Now Dinner Later possible. Every now and then my kids get curious to try new foods. A while back we introduced them to Asian food, and they have really grown a taste for it. So we thought we’d be adventurous and have a fun family night, by serving easy, tasty foods with a little cultural inspiration. 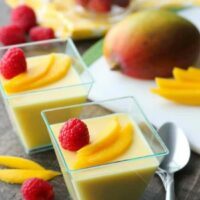 We looked for a Chinese dessert that would be easy enough to make, but not too culturally unique, so that the kids would still try it, and we settled on Mango Pudding. Apparently it’s a popular Chinese dessert, and my kids do love mangoes. The recipe is easy to whip up, it just needs time to chill, so prep it the night before you want to serve it or make it early in the day. As for the dinner, we just can’t beat grabbing some P.F. Chang’s Home Menu meals and appetizers from the freezer section. They even have Family Size Orange Chicken and Chicken Fried Rice skillet meals now. 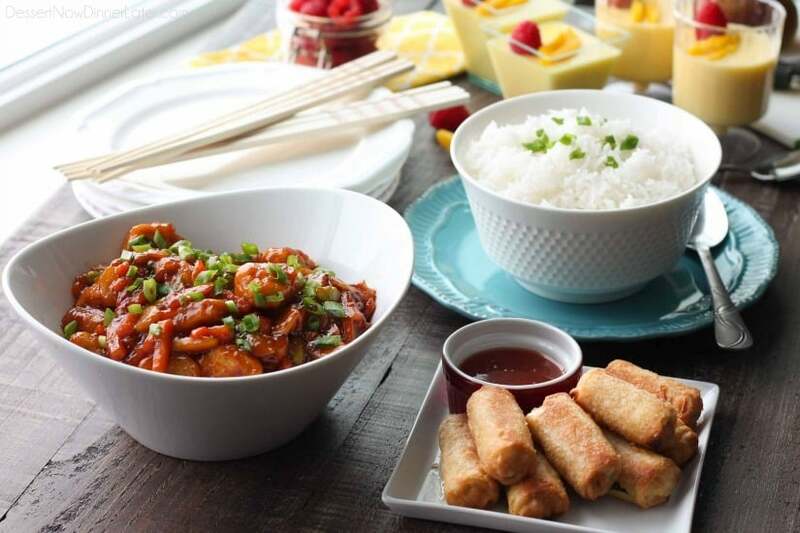 It’s easy, restaurant-quality authentic Asian food, enjoyable at home with made-from-scratch sauces and vibrant veggies. 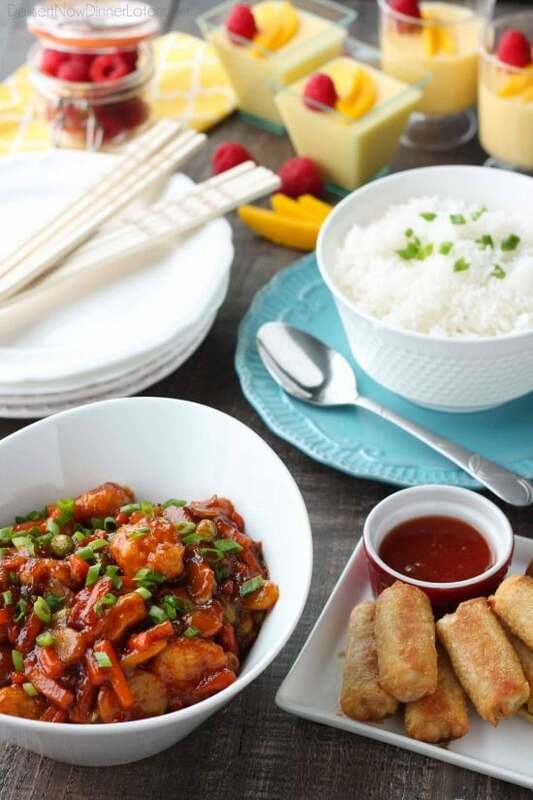 We tried the Orange Chicken that’s made with real Orange Peel and other carefully selected ingredients that allow caramelization of the sauce, replicating the wok cooking process. The flavors are bold and the aroma is heavenly! We also grabbed some egg rolls and jasmine rice to go with it. My kids downed the egg rolls! The best part is that everything cooks up so fast, which makes it easy to make during the middle of the week when you get that take-out craving. Place 8 (6-ounce) ramekins (or cups) on a baking sheet; set aside. 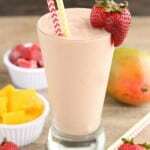 MANGO PUREE: Place ¾ cup water and ½ cup sugar in a small saucepan over high heat. Stir until sugar is dissolved and mixture is boiling, about 3 minutes. Remove from heat. 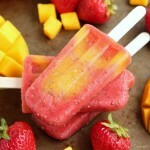 Place frozen mango chunks in a blender and pour in the sugar mixture. Blend on medium-high until very smooth, about 1 minute. 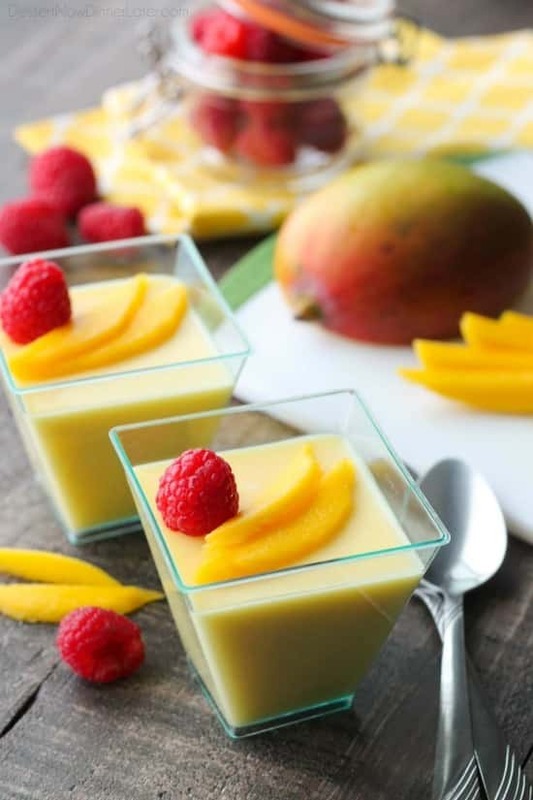 MANGO PUDDING: Place 1¼ cups water in a small saucepan over high heat. Bring to a boil. Place ¾ cup sugar, the gelatin, and salt in a large mixing bowl, add the ½ cup COLD water and whisk to incorporate, about 30 seconds. Add boiling water and whisk until gelatin and sugar are dissolved, about 1 minute. 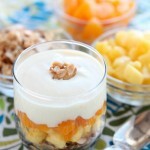 Add the 2 cups of mango puree, heavy cream, and lime juice. Whisk to combine. Divide evenly amongst the ramekins/cups. Refrigerate until set, at least 2 hours. 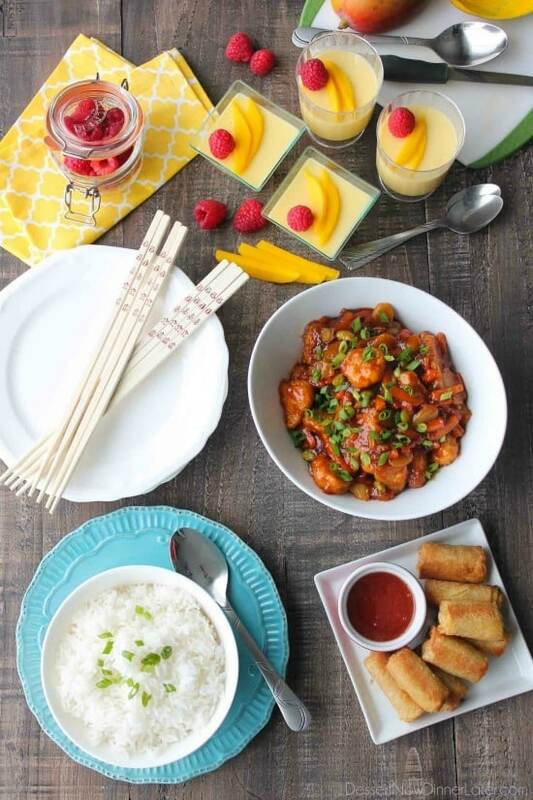 Because I want YOU to stir up your weekly routine, indulge in fun cooking trends (cook with a wok), and satisfy your mid-week cravings, I’m hosting a giveaway along with some fellow bloggers. There will be 1 Grand Prize Winner and 3 Runners-Up. Enter through the Rafflecopter below. Good luck! 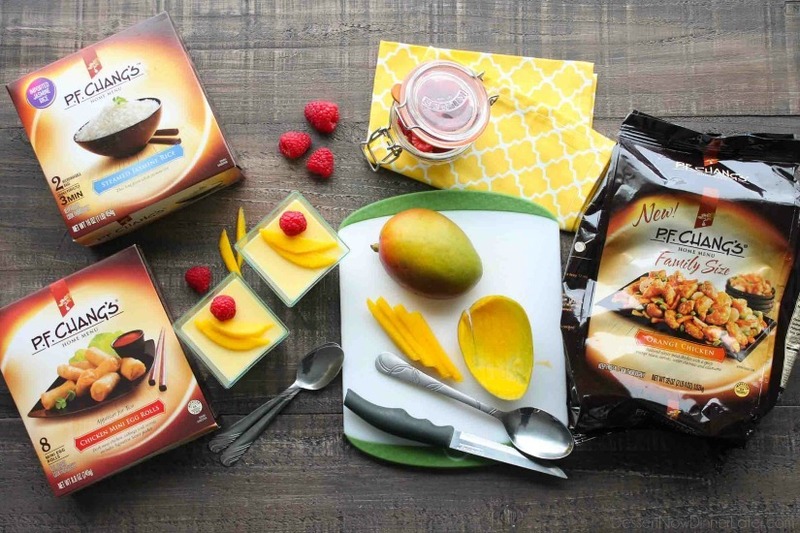 a Rafflecopter giveaway Stir up family fun with my Mango Pudding, FREE Chinese New Year Bingo Cards from Gina at KLEINWORTH & CO., and see why Amy from LITTLE DAIRY ON THE PRARIE says that P.F. Chang’s home menu is a life saver. Done! Fingers crossed! I keep meaning to buy a wok because I love the Rumbi Rice bowls and always make a lot of vegetables for it, and I love Lo Mein and need a big pot for that too! Thanks for sharing Amber! I love your photos on this blog post!! They look awesome!! And I’m going to have to try that pudding!! Keeping my fingers crossed because I don’t own a wok!! Love your blog friend!! Thanks Megan! You’re so sweet! Crossing my fingers you win too! This looks so good! Thank you for sharing. 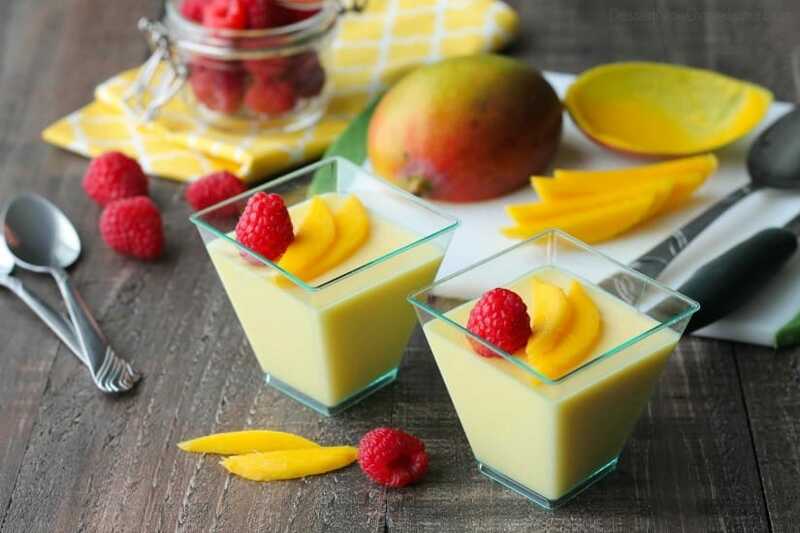 Chinese Mango Pudding would be the perfect way to finish off an easy at home meal!